With everything becoming digital, we no longer take notes on a notepad or notebook. We barely use a pen and paper. All our notes, all our ideas and all our work is typed digitally. From school homework to university assignments, to accounting and graphical forecasting in large organisations, even university lectures have become online. In fields like architecture and engineering, models and machines are now designed electronically instead of by hand. However, submissions are expected to be made in hard copy formats. Editing, and studying is easier when you have the printed documents in front of you and you can highlight and scribble on words. Printing outside can be expensive and time consuming. 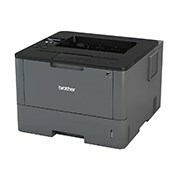 Shop printing supplies online and get great deals on one time investments on supplies so you can print at home or work. Our range of products includes a large variety of ink cartridges and toners as well as other supplies necessary for smooth and easy printing. Cut long term costs and make life easier. Our products are affordable yet guaranteed 100% quality. Made and sourced with customer satisfaction in mind, our products will not disappoint you. Skim through our variety and find the product that most suits your needs. We offer delivery services all across Australia in metro cities like Melbourne, Sydney, Perth, Brisbane and more, as well as in regional areas. Allow for 7-14 business days for delivery and enjoy the perks. For more information, contact our team and we will respond to your queries promptly.